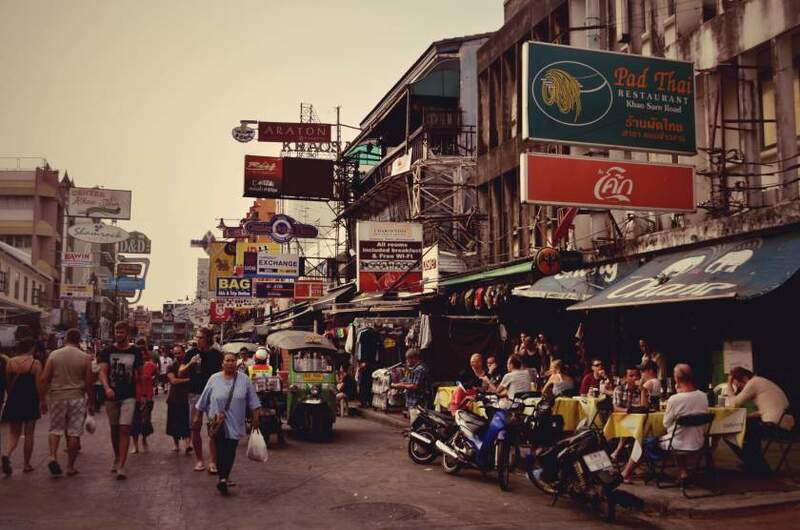 It is one of the most interesting cities I’ve ever visited, but it is also smelly, dirty, loud and hectic, and you’ll probably have had enough of it after a few days of being hounded by street merchants and fighting your way through the crowds on Khao San Road. 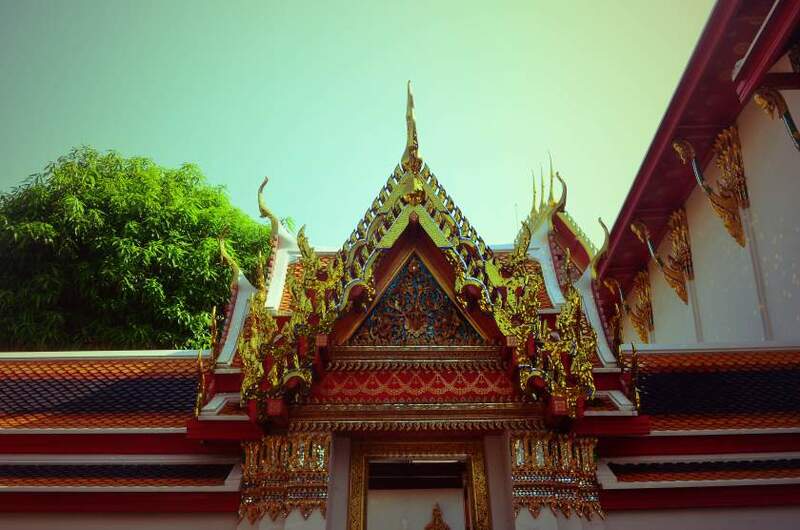 But Bangkok is definitely a great way to start a trip in Southeast Asia! 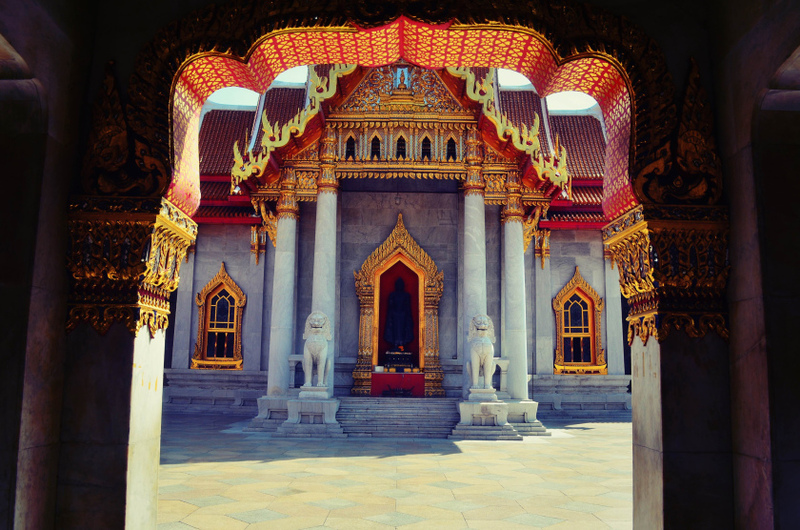 Spend one day seeing the touristy sights, the temples (as many as you can take in) but definitely include the Grand Palace, the biggest one in Bangkok, rooms full of buddhas ranging from lines of smaller ones, to Buddha shrines to the enormous Reclining Buddha whose foot is three times the size of an average person. Make sure you wear flip flops as you have to take your shoes on and off in every single room! 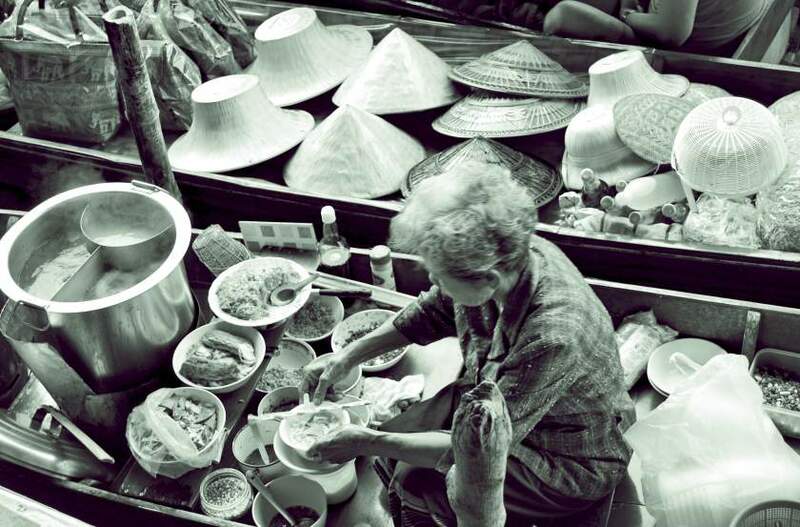 The city literally comes alive at night – I have never been anywhere as buzzing and bustling as Bangkok! 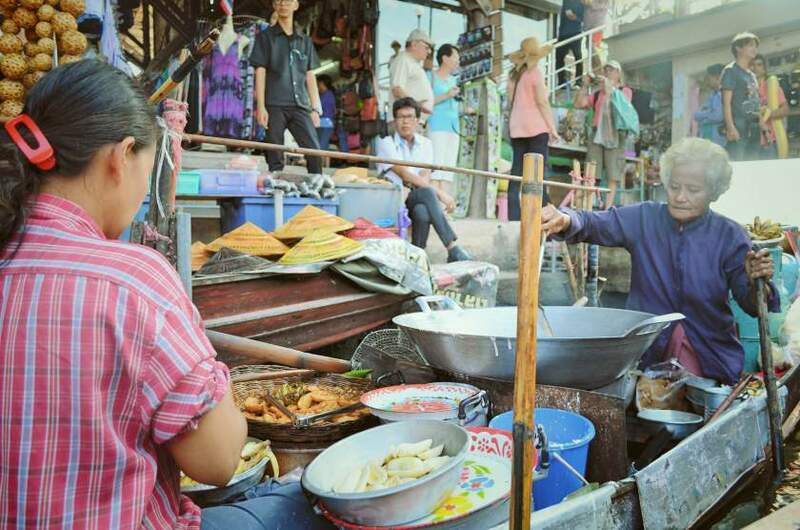 Wander along Khao San Road, past the market stalls where you can pick up hareem pants and all kinds of t-shirts for about a pound a piece, and you are spoilt for places to eat, from local street food stalls to more touristy restaurants and bars – stick to the local food as it is amazing! It’s probably one of the most interesting cities in the world to sit in a street-side bar and people-watch all evening. It depends on where else you are visiting in Thailand, but as we weren’t going to the North (Chang Mai & Chang Rai) which is renowned for its beautiful scenery and its elephant camps, we spent a day in Ratchaburi, near Kanchanburi, less than an hour north of Bangkok, where we visited a local elephant camp. 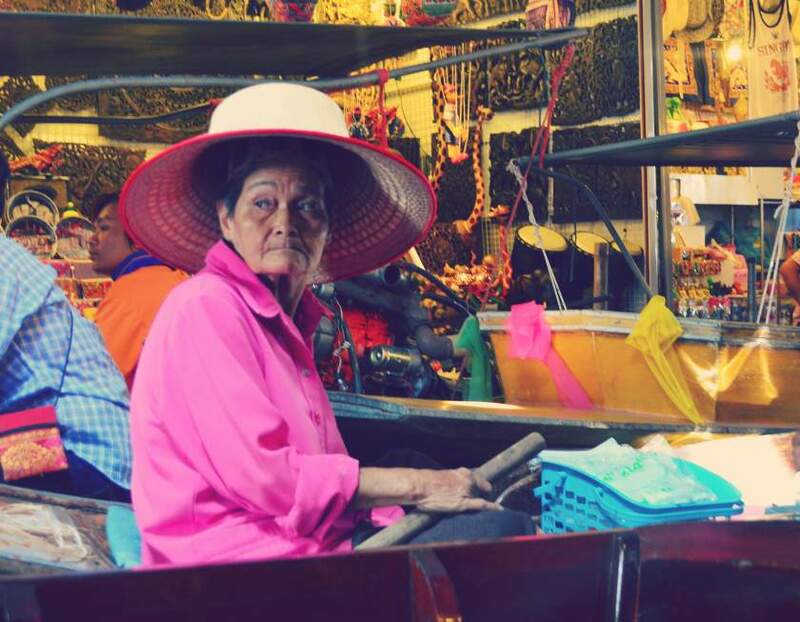 But the highlight of my few days in Bangkok was the floating market just outside of the city. There are many but the main one is Damnoen Saduak and it was just incredible. 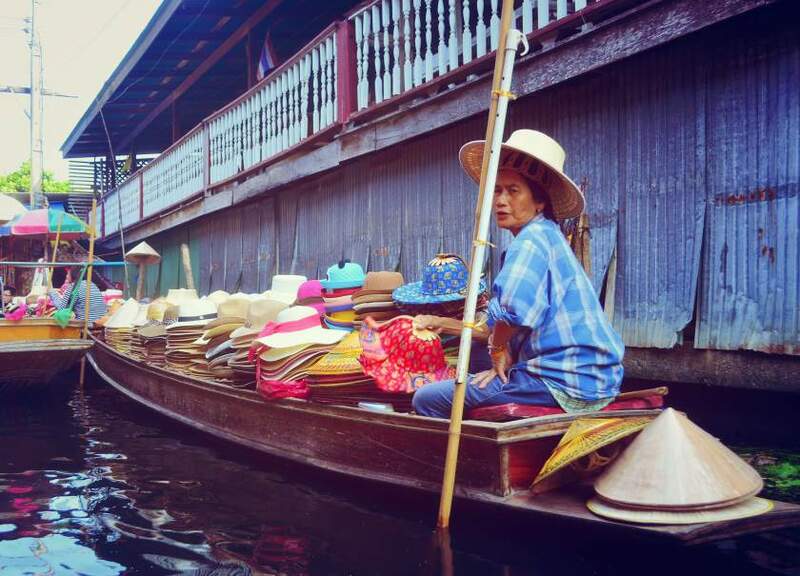 Hundreds of narrow boats filled with goods ranging from souvenirs and trinkets to Thai hats and hangbags to fresh fruit and even meals cooked from fresh inside their tiny boats. It was so busy and bustling that we got into a “boat-jam” where for about 10 minutes we were standstill and no-one could move. What makes the experience here so special is the amazing colours and smells and sights all around you wherever you look. The boat back will take you further up along the river past tiny villages and settlements with people washing clothes outside their tiny wooden houses – and after all the hustle and bustle and tourist crowds in the market, it’s hard to remember that people actually live here. After a flight south to Phuket and a night’s stopover in Patong beach – Thailand’s version of Magaluf, but fun if you’re after a few days partying on the beach – we caught a ferry to Koh Phi Phi which was to be our home for the next 3 days. Phi Phi was the most amazing Thai island we visited. This is one of the many places you can arrive with no accommodation booked, so you arrive with hoards of locals surrounding you trying to sell you their accommodation. We chose one up in the mountains but if you don’t fancy steep walks up to the top everyday in the heat then opt for one down in the town centre. With no roads or motor transport on the island, we trekked up the mountain to our little wooden bungalow until the local carrying our bags let us hop up on the back of his tiny trailer for the rest of the journey! 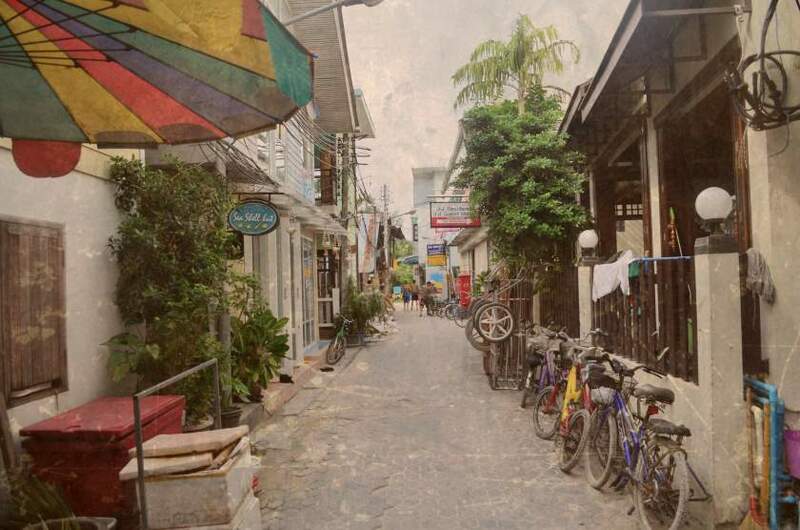 The entire island is made up of tiny back streets and alleyways all intertwined, a relaxed atmosphere which comes alive at night in the centre. 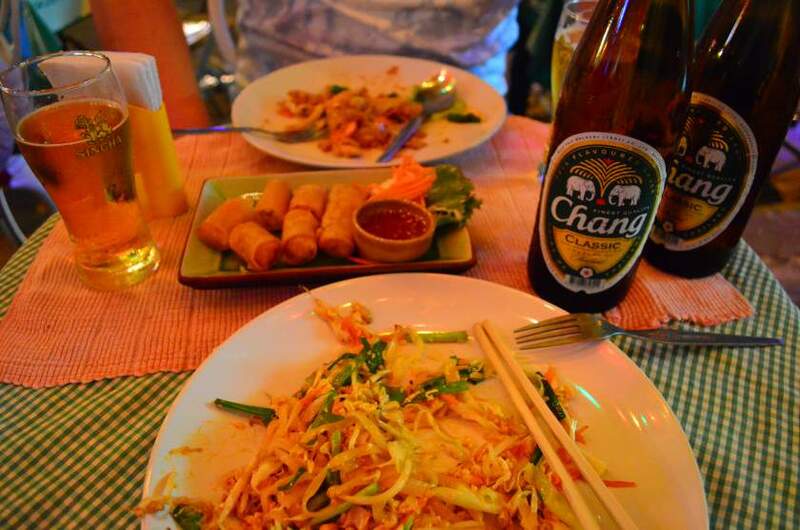 There’s quite a variety of places to eat, all with the standard cheap prices which Thailand is known for. 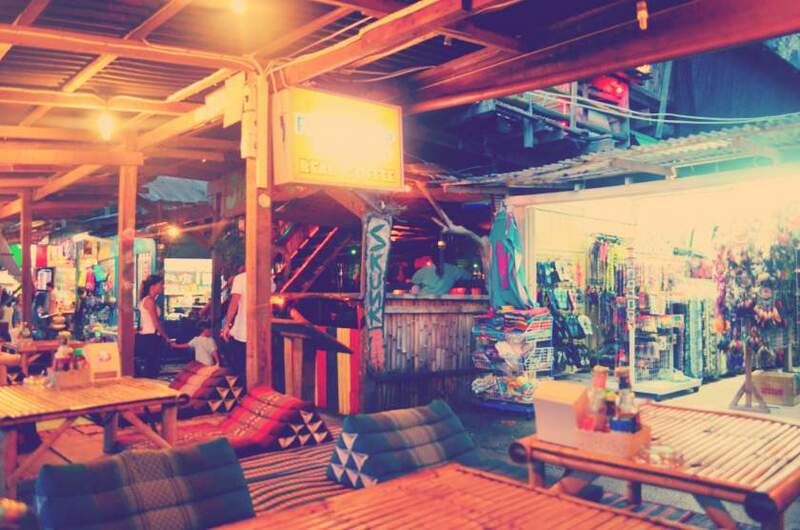 Spend your evenings strolling from bar to bar, there’s something to suit everyone whether you’re looking for a quiet night with a bottle of wine or a lively party scene which you’ll find in the bars and clubs lining the beach. 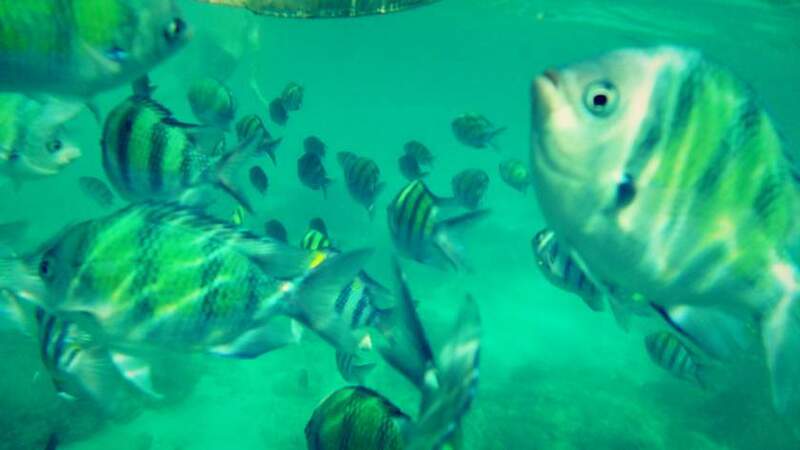 One of the island’s main attractions, luring tourists to it year after year, is Maya Bay. This is the scenery they used for the film ‘The Beach’ released in 2000, one of my all time favourite films, so I was really excited to visit it! It was a beautiful place, but too full of tourists – they do so many boat trips there a day that the whole beach was just full of people. You can walk around the whole island at your own pace, through lush green paths and under the canopies of the trees and into Lo Sa Mah, a tiny bay with an amazing view of the limestone cliffs emerging from the sea. 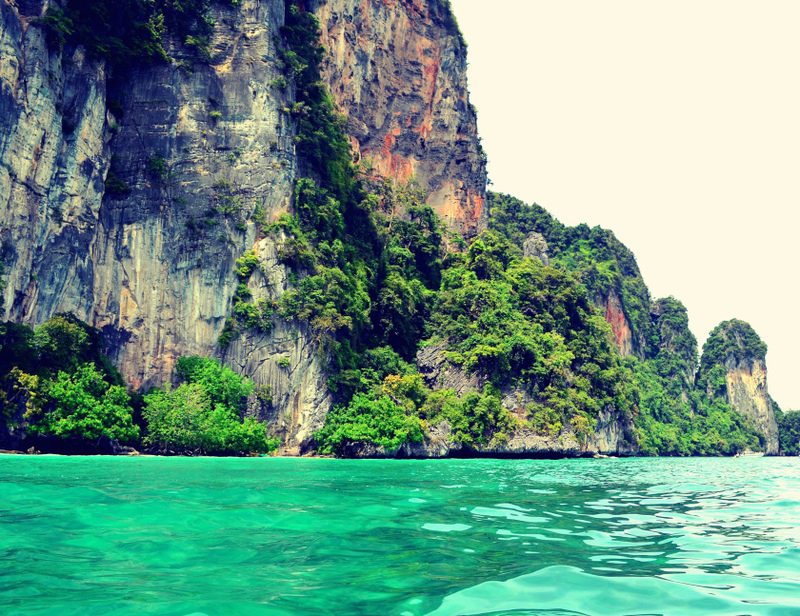 The boat trip is a whole day event; you don’t only visit Maya Bay but various other sights such as Monkey Beach, where the boat stops off by the cliffs and you can spot monkeys up in the trees above the water! 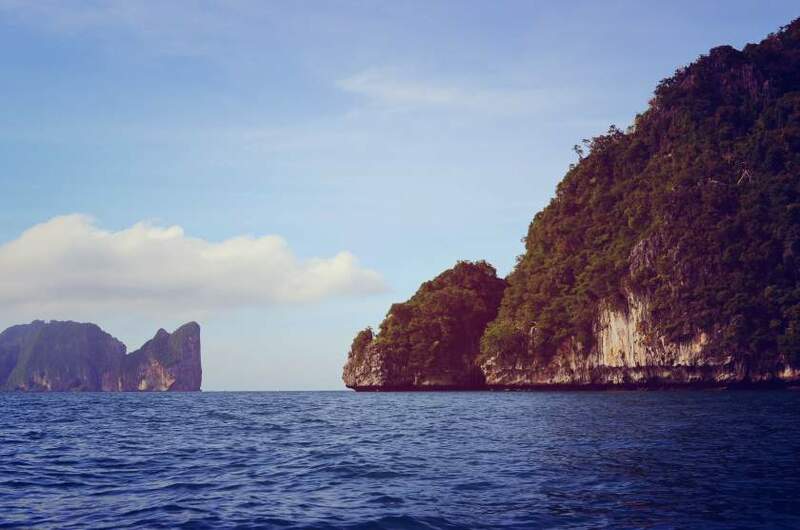 You also visit Phi Phi Lei (the smaller of the two islands which is inhabited, as opposed to Phi Phi Don) and stop off at various spots for half an hour or so of snorkelling. 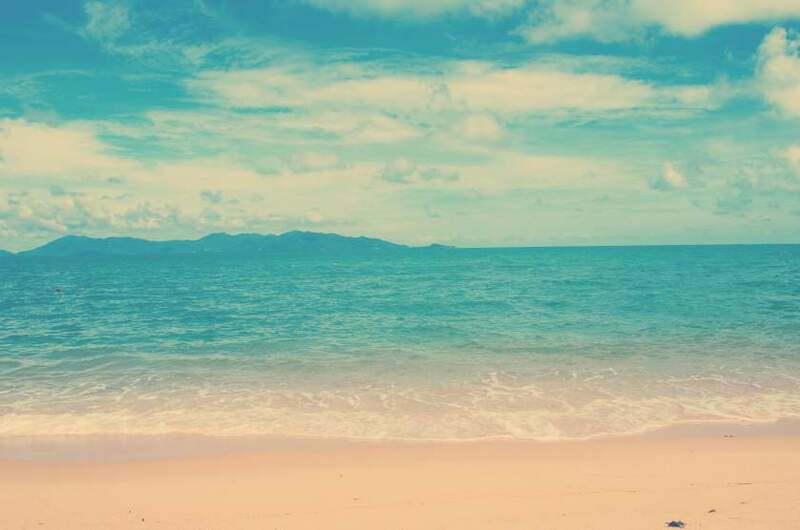 Was a really good day trip and a must-see if you’re in Phi Phi at all. After a night’s stopover in Krabi town, which I really don’t recommended unless you’re needing to break up a journey, we caught a longtail boat to Railay, a small, relaxed, hippy beach town still in the province of Krabi. 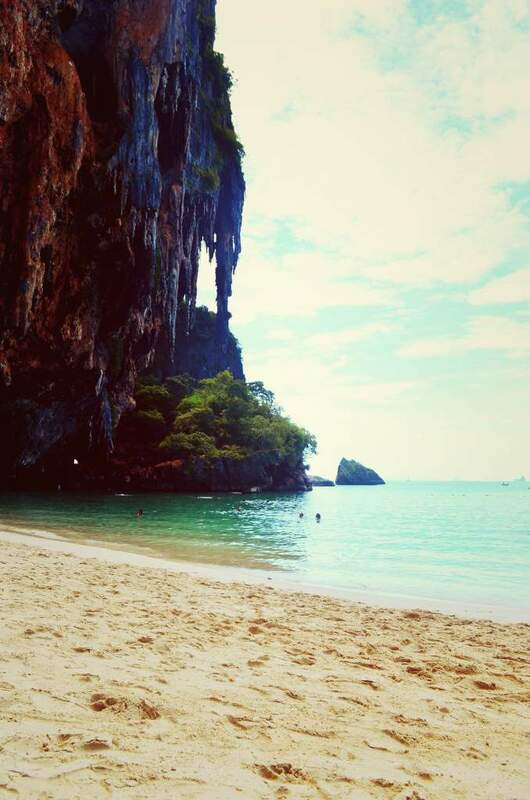 If you’re into rock-climbing this is the perfect place to do it; or if you’re after a more relaxed break on the beach, head to Railay beach. 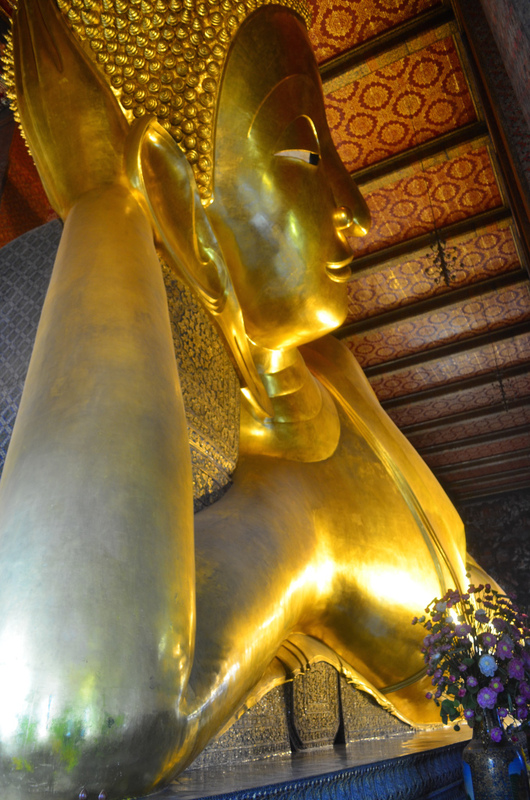 After a few relaxed days in Railay, head south and stop off at Ao Nang on the way. A tiny resort town similar in size to Railay but not too much going on – but its famous hot springs are definitely worth a visit. It’s a half day tour which will take you there, as well as the Emerald Pool, another natural turquoise hot spring pool in the mountains. It is relaxing – but make sure you keep an eye on your bag on the side as it’s the perfect opportunity for someone to take it! 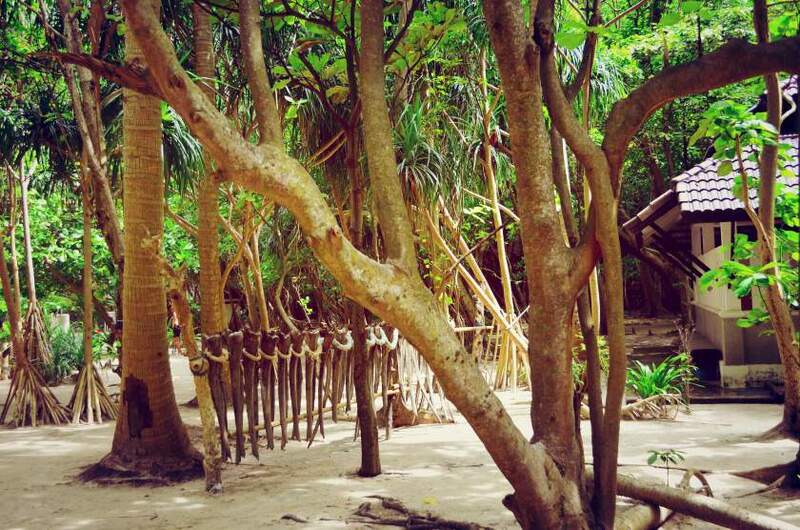 Koh Lanta was next on our itinerary and the perfect island to move onto if you’re heading in this direction. Koh Lanta is probably one of the most relaxed-paced islands in Thailand, and we were really looking forward to spending a few days on its beautiful beaches and making the most of doing no tours or day trips (especially after our 3 boat trips and 3 cars just to get there)! But if you fancy a bit of action, there are lots of renowned diving spots on the island, day trips to visit the caves, or to the smaller of the two islands, Koh Lanta Noi, which has no tourist facilities or accommodation but just a ferry ride away from Koh Lanta Yai and a good day out. There are a few beaches to choose from, all beautiful but just be careful of the rocks in the shallows as you walk into the sea, as when the tide comes in, you can’t see them at all. At sunset (one of the most amazing I’ve seen), go for a walk along the beach and find a wooden massage shack and enjoy a cheap Thai full body massage whilst watching the sun go down! As Koh Lanta is about as far south as you can go on the islands, I’d recommend now heading east to the other side of Thailand mainland to do the remaining three: Koh Tao, Koh Phangan and Koh Samui. We started at the top so our first stop was Koh Tao. 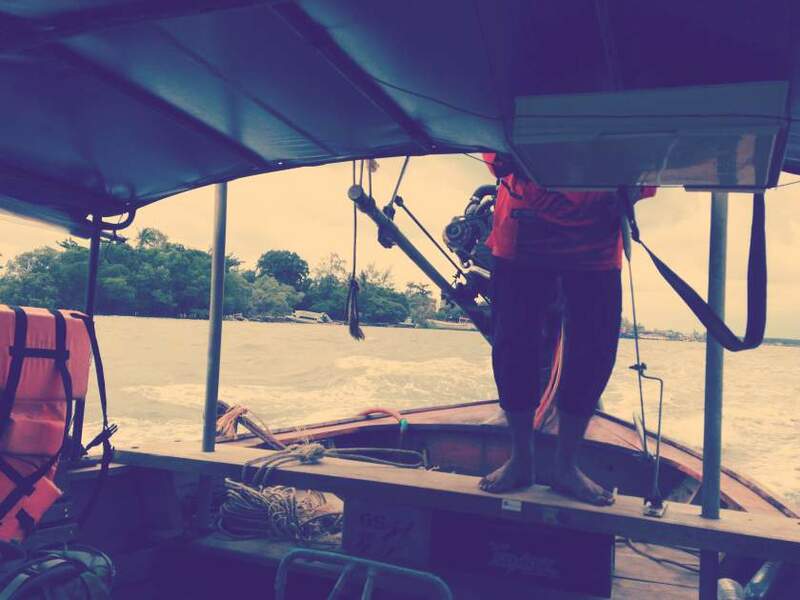 Be prepared for a very long day of travelling (we left Koh Lanta at 7:30am and arrived early evening…). 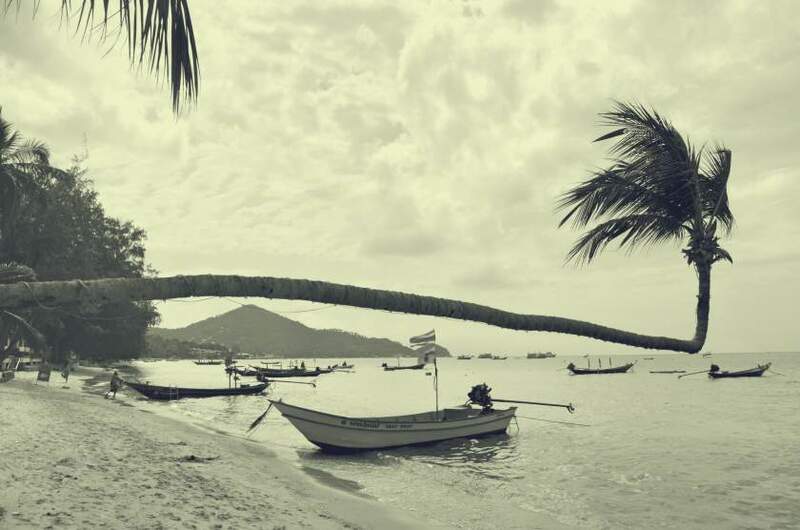 As relaxed as Thailand is, Koh Tao is not one of the places you can easily arrive without accommodation booked – it is one of the larger ones so definitely try to sort something out before arriving. I’d recommend staying as close to the centre as possible, as this is where all the places to eat, bars, cafes and shops are. If you’re not, you might be up in the mountain and a 10 minute drive away from town which could add up each time you head down there for the evening or the beach in the daytime. 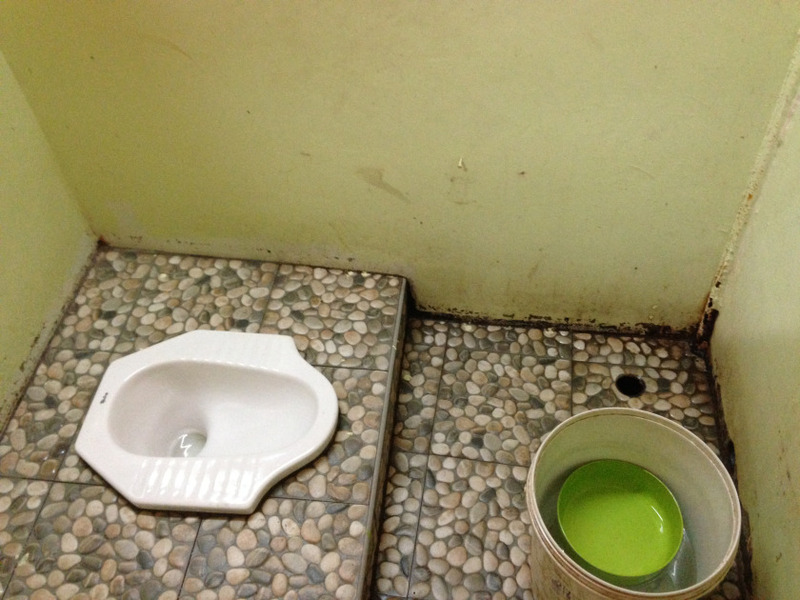 Koh Tao’s actually a bit more pricey than any of the other islands, but still really reasonable. It has a more upmarket feel to it and a lot of organic juice bars etc. The main activity here is diving, so the whole town is packed with diving shops and accessories – so if you’re thinking of doing it and getting your qualifications, this is the best place to learn…and from personal recommendations I’ve heard that the best company to do it with is Big Blue Diving. As we didn’t have many days left until our next flight (to Cambodia), we had to choose between visiting Koh Phangan and Koh Samui. I knew both had become quite commercial and touristy recently but in the end had to miss out Koh Phangan. I’ve been told it is an amazing island with lots to offer and of course its famous Full Moon party scene, but Koh Samui did not disappoint! 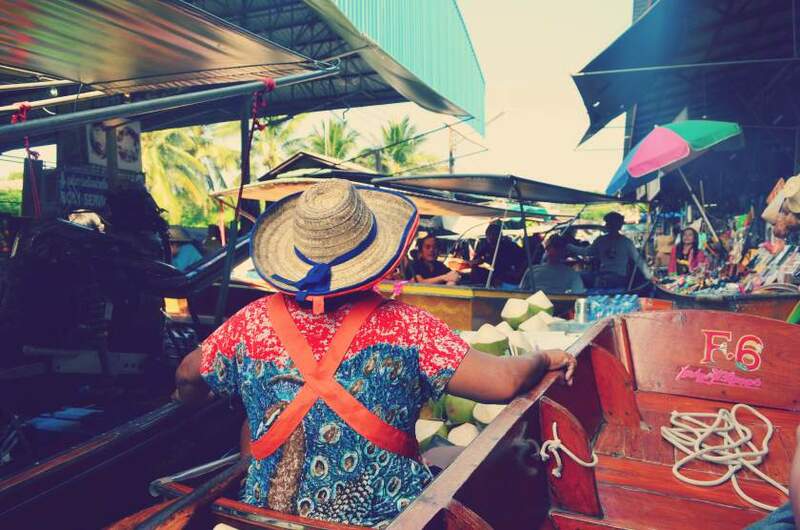 You could argue without doubt that tourism has ruined a beautiful island – Chaweng, the main town on the island, teems with buzzing, lively bars and restaurants, loud music and hectic tourist markets open until late evening. If you’re after a more relaxed pace, opt to stay in a nearby town, such as Lamai Beach, Bo Phut – a small fishing town on the north of the island – or Maenam bay – where we were, with the most amazing deserted white sand beaches completely free of tourists, but where I nearly got killed by a falling coconut less than a metre away from my head! If you’re in need of a bit of real shopping and civilisation, you can head to the mall which is just at the end of the main strip, and packed with fine dining restaurants, cafés, bars, designer shops and a nice place to have a wander and a change from the hectic Thai markets. Koh Samui brought us to the end of our Thailand itinerary, but from here we headed over the border to Cambodia!